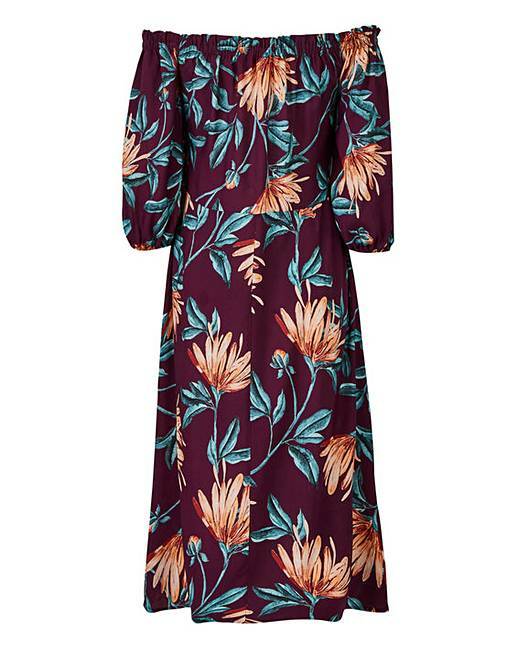 Print Bardot Midi Dress is rated 3.6 out of 5 by 5. Add a must-have to your summer wardrobe with the Bardot midi dress. 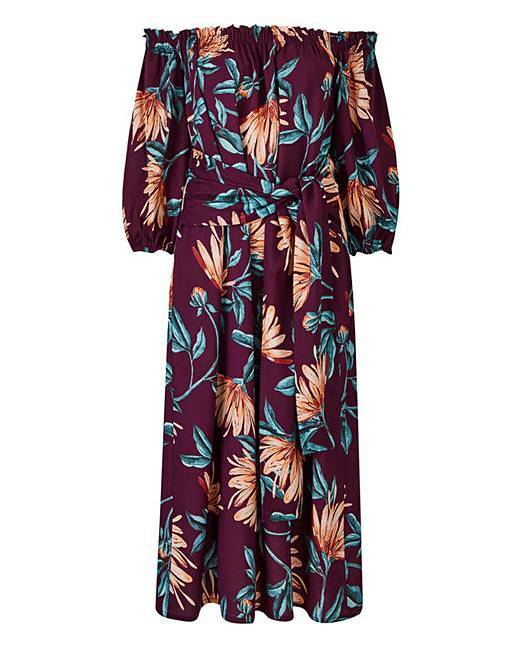 Adorned on a maroon-based tropical print, this dress features a tie belt to cinch the waist. Rated 3 out of 5 by Kandice from Tropic Again this dress was not flattering i thought the skirt was a bit short for a midi. Rated 2 out of 5 by VW79 from Really cheap feeling fabric I loved the look of this dress on the model but when it was delivered I was so disappointed. The material was cheap and flimsy and didn't feel nice. I didn't even bother trying it on. Rated 5 out of 5 by C Dean from Great quality Would have expected to pay more than I did for this dress, superb quality material and very flattering due to the tie waist!